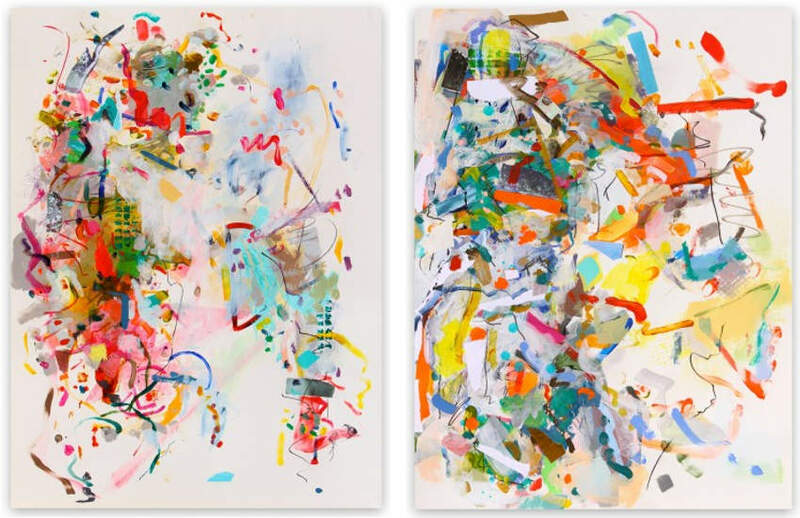 Gina Werfel is an American abstract painter whose work uses vivid color, lyrical gesture, and complex compositional structures to explore harmonies within visual space. Raised on Long Island, she currently lives and works near Sacramento, California, where she is a Professor of Art at the University of California, Davis. Werfel received her Bachelor of Arts degree from Kirkland College (now part of Hamilton College), in Clinton, New York and post-graduated at the New York Studio School. She then earned her Masters of Fine Arts degree from Columbia University in New York. 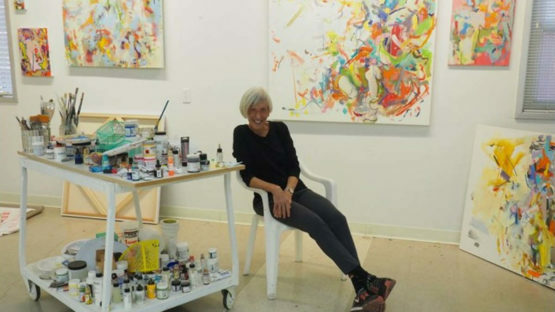 She is also the recipient of a number of prestigious fellowships and grants, and leads a distinguished career as a professor of art, a visiting university lecturer, and an artist in residence at important schools and institutions around the world. Werfel works with a mixture of oils, acrylics and mixed media on canvas. Her background is in landscape painting, which helped her develop a keen eye for light, color relationships, and compositional harmony. 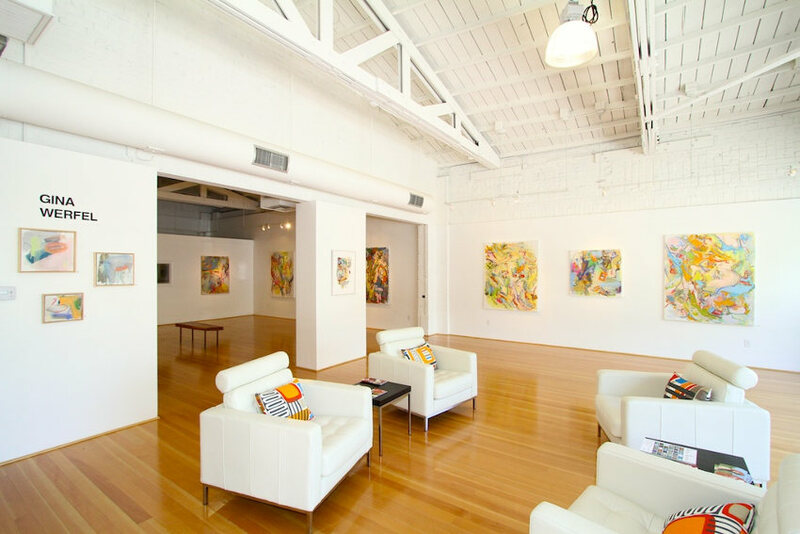 As she transitioned into abstraction, she heightened her ability to use those sensibilities to convey emotional and atmospheric states within pictorial space. 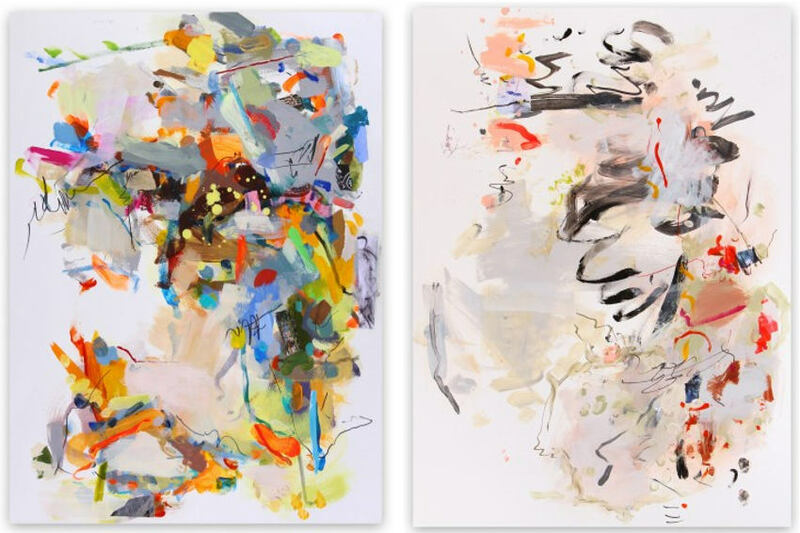 In her abstract paintings, she employs expressive, lyrical gestures that create bursts of movement and energy. Her color choices create a range of tones from the muted and serene to the vibrant and electric. In addition to traditional brushwork, she incorporates mediums like spray paint and stencils to build layered, complex, and expressive compositions. Werfel has studied and taught all over the world. She has found inspiration in the variations between the pictorial landscapes to which she has been exposed: for example, the interplay between the hills and light of Northern California and the textures and colors of Brittany, France. She is interested in the way everyday experiences influence her paintings. She may become inspired early in the day by a spontaneous gesture then be guided later by the view from her studio. In the end, her compositions do not reference any one thing. They are examinations of the qualities of light, transparency and color in space. Werfel has exhibited extensively in solo and group shows throughout the United States, with recent solo exhibitions at the American University in Paris, France, and at the Prince Street Gallery in New York City. Like polyphony in music, Werfel’s work consists of textures of multiple independent “voices” or sources. She layers multiple elements to create painted universes; embedded vestiges of gestures suggest fragments of memories, glimpses inside the studio or outside her window. Werfel creates compositions that echo the spatial complexities of landscapes to which she had been drawn when painting outdoors – tumbling hills or underwater reflections. But now, fragments float in fluid, veiled spaces. Gina Werfl lives and works near Sacramento, California.